Other Manufacturer - Boathouse Discount Marine, LLC. The fastest, strongest, quietest shallow water anchor has reached a new low. 12 and 10 feet, to be exact. Minn Kota bolder, smarter, more colorful new 12- and 10-foot Talons are the best boat control and positioning tools in the game. They put you on the fish and keep you there, with legendary Minn Kota ruggedness, bold new colors and exclusive innovations that no other shallow water anchor can touch. And for shallower fishing applications, Minn Kotas 8- and 6-foot models still, deliver the boat control you need to stand your ground. Plus, We’ve made mounting Talon as easy as mounting a trolling motor. 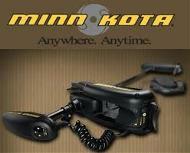 Minn Kotas Universal Modular Adapter Brackets let you configure Talon to the exact orientation you want. Volvo Penta is a world-leading supplier of engines and complete power systems for marine applications. This success is based on a wide range of technological innovations that have been introduced over the years, together with the ability to transform them into practical applications. On many occasions, the energy, curiosity, and ability of Volvo Penta employees have helped them to extend the horizons of technical feasibility This has resulted in the creation of pioneering products such as the Aquamatic, the Duoprop, Volvo Penta IPS.